Mom Taxi Julie: Random Dozen, some good ones! 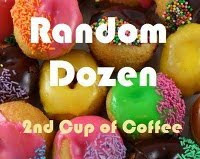 Random Dozen, some good ones! These are supposed to be on Wednesdays but I'm always behind with my blogging now. I'd much rather just GO to a party. Hosting a party means I have to clean. Although it is nice to get the house clean every 6 months or so! Ahhhh the sunshine. I love the way it feels on my skin, warms my hair, feeds my soul! I've never chipped in. Probably because I don't have any sisters. That's so a sister thing to do. Oh damn I'd take the food. We can shove the crap off the couch when we sit down to eat. 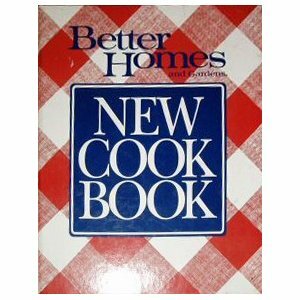 My most favorite gift is and was my cookbook. I bought one for the last shower I went to. (OMG it was like $30!) I use mine almost EVERY weekend. You'd think I'd have those pancake & waffle recipes memorized by now. I really like the Peanut Butter & Chocolate from Baskin & Robbins. But I'm usually too cheap to go there and they don't have a drive through. There really isn't a bad kind of ice cream though! Today. I have a teenager, 'nough said! 11. "[Fill in the blank] is a food that once I start eating I find really hard to stop." umm well let's see. Chips, ice cream, steak, chicken, pistachios, pretty much anything? 12. " -----" is the best motivation. Who gave me that parenting license anyways??? WTF I did something Green?